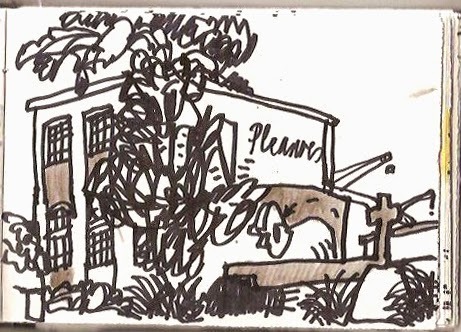 The group show of drawings, including four by me, and Urban Sketchers Thomas Corrie, Isabelle Laliberté, Jhih-Ren Shih, Katherine Tyrrell and Zhenia Vasiliev at the Timberyard cafe, Old Street, London, has been extended for another few weeks – the final closing date is Saturday 12 July. 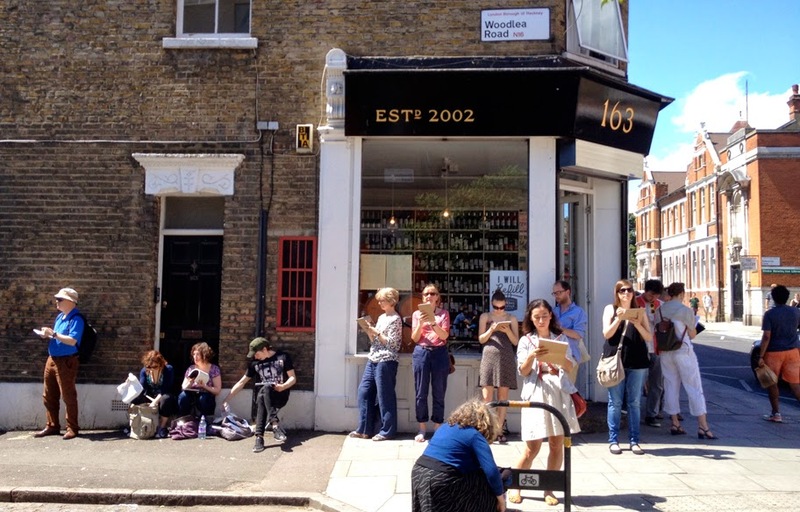 Last Sunday, as part of Stoke Newington Literary Festival, in the part of north London where I have lived for the past 23 years, I was joined by an evolving cast of about 50 artists as we drew our way along Church Street, the neighbourhood's epicentre. 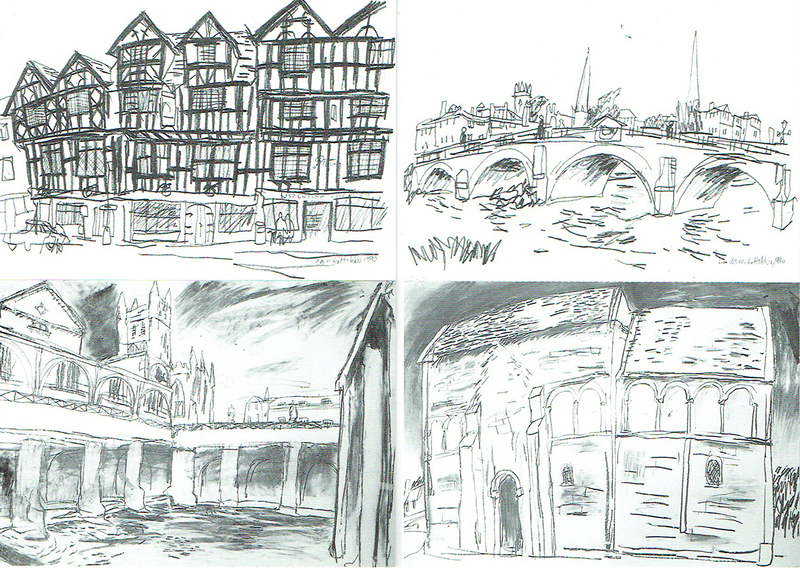 This was partly to publicise my book, Sketch Your World, but also because it is such a good place to draw: it is historic, crumbling, gentrified, leafy, literary, organic, unstuffy, siren-filled, unrelentingly urban and many other things, too. And the arrival of summer was timely. 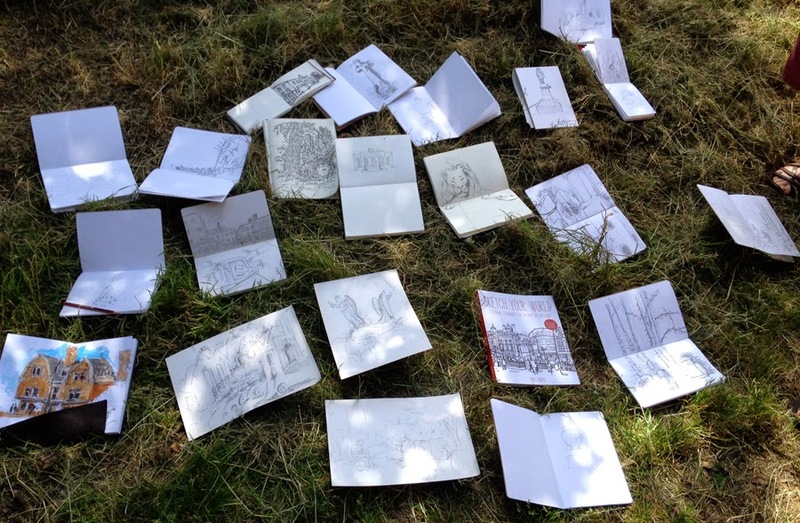 Our mission, in blazing sun throughout, ended in the shade and birdsong of Abney Park cemetery, where we cooled off, and shared and compared our endeavours – thanks once again to Seawhite of Brighton, who kindly supplied its Eco sketchbooks for the event. Thanks for coming, if you did. And thanks to the team at Stoke Newington Literary Festival for inviting me to do this. Sketch Your World is a book about getting out and drawing rather than sit around discussing, and there's a chance a similar event may take place at next year's festival. 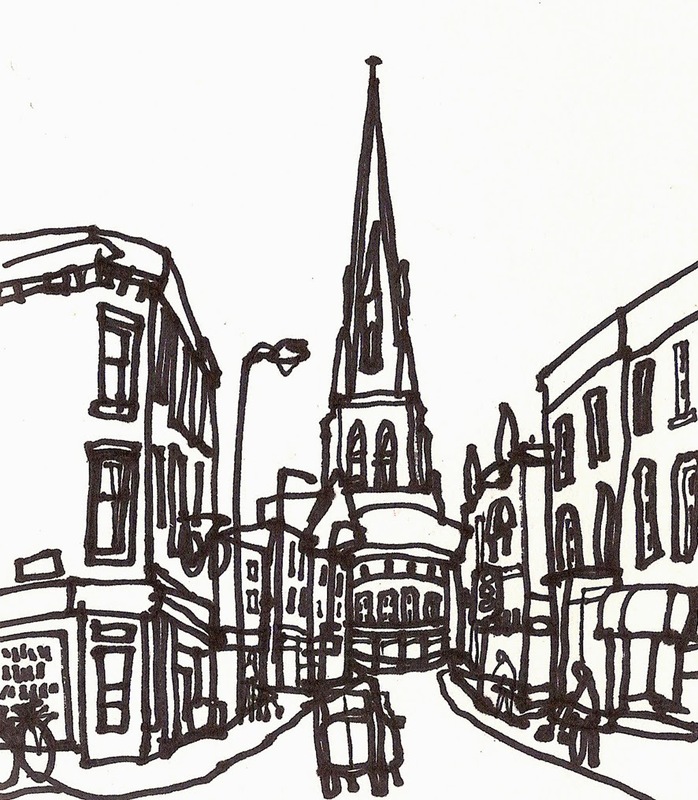 I'll be at the Stoke Newington Literary Festival on Sunday 8 June from 12 noon for a special free drawing event. 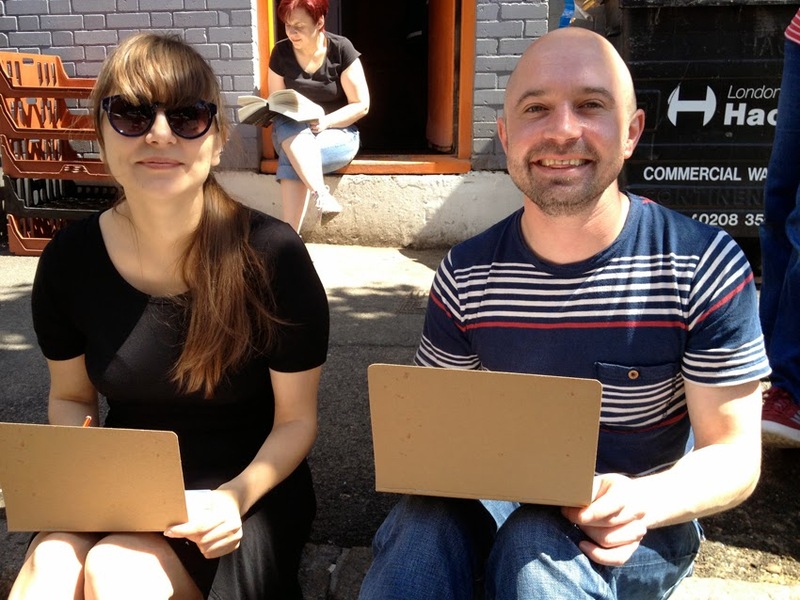 To take part, simply come to the town hall foyer with your drawing equipment – a limited number of free Seawhite sketchbooks will be available while stocks last – draw the many hotspots of Stoke Newington, meet other artists, share your drawings online and find out more about the burgeoning Urban Sketching community. It's relaxed, free and you can come and go as you like. It's good for adults and children, all abilities, all levels of experience, all everything, in fact. Find out more about it here. Signed copies of my book Sketch Your World will be on sale. Many thanks to Seawhite of Brighton for generously providing the sketchbooks. There's more information about the literary festival at www.stokenewingtonliteraryfestival.com. There are plenty of great events taking place from 6 to 8 June.